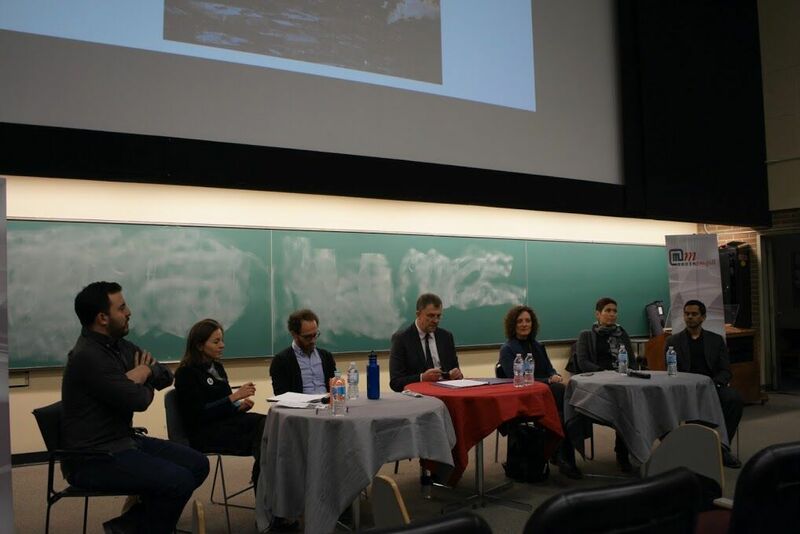 Canadian social activists gathered at McGill University on Thursday evening to discuss how climate change is reported on in the Canadian media and whether the coverage is effective. The six guests, who all work in the media, answered questions from the audience. The panelists included Candis Callison, a media professor at the University of British Columbia; Mike De Souza, the managing editor at the National Observer; Martin Lukacs, an investigative journalist for The Guardian; Kai Nagata, the communications director at Dogwood Initiative; Laure Waridel, the executive director of CIRODD, and Linda Solomon Wood, editor-in-chief of the National Observer. To introduce the evening’s discussion, moderator Darin Barney explained how every day last year, half a million solar panels were installed, putting emphasis on the shift to renewable energies worldwide. However, Barney added, 80 per cent of global energy consumption still remains in fossil fuels, according to NASA. “We have failed. Despite the knowledge and numbers, we fail to communicate,” Waridel added. The following question was directed at De Souza and inquired about the responsibility of journalists to communicate information about climate change. Audience members in the Frank Adams Auditorium on McGill University. Photo by Elisa Barbier. “We have huge responsibilities,” De Souza replied. “It is a two-way street, both the media and the public. Journalists have covered climate change in Canada extensively.” However, he added that many investigate stories on climate change cannot be done due to the budget cuts news corporations are faced with. It was pointed out by Waridel that the traditional way of reporting on climate change in media leads to a current stagnant situation where “nobody wants to feel like the bad guy.’’ Therefore, calling out companies and people who have had a negative impact on climate is complex. Nagata added that presenting one clear message to the public is a difficult task—different people have different news sources, and often stick to the ones that reinforce their ideas about climate change, whether they’re accurate or not.